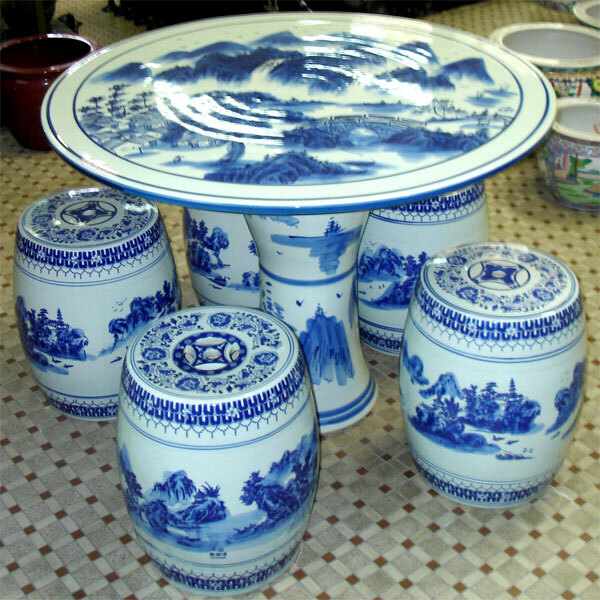 This stool and table set is show in classic Chinese blue and white. The table top show a picture scene of mountain, sky and water. The table is made up of two pieces. The garden stools coordinate with the porcelain table. The stools also show a scenic representation of the mountain, sky and water to match the table. On the sitting surface, one will find a pattern that represents a Chinese coin in open work art form. Table and stools can be purchased as a set or individually.